Congratulations to the Winners of the "Teaser" Posters! Congratulations you've all won an official Fifty Shades of Grey “Teaser” poster adorned with exclusive Fifty Shades of Grey satin ribbon. 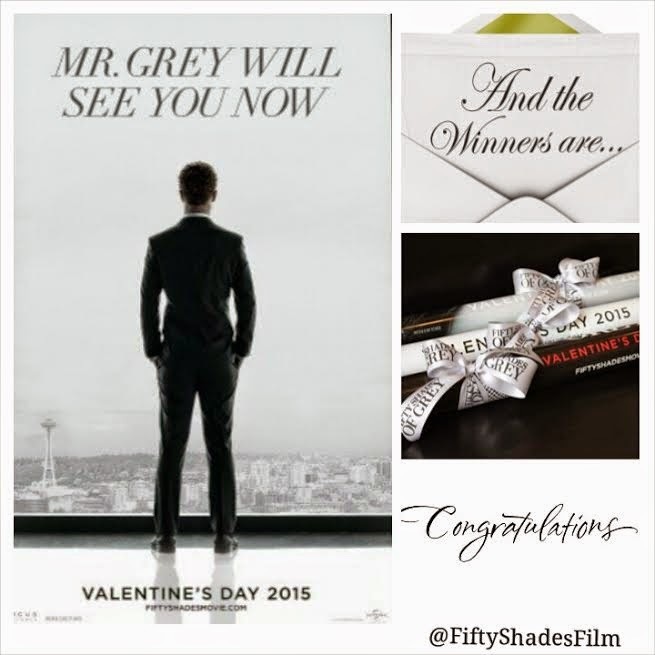 Please send us your mailing address by email to fiftyshadesofgreyfilm@gmail.com before December 16, 2014 in order to claim your prize. Prizes will be forfeited and a new winner will be chosen if your information is not received by the deadline date. Enter to Win an #OfficialFifty “Teaser” Poster! 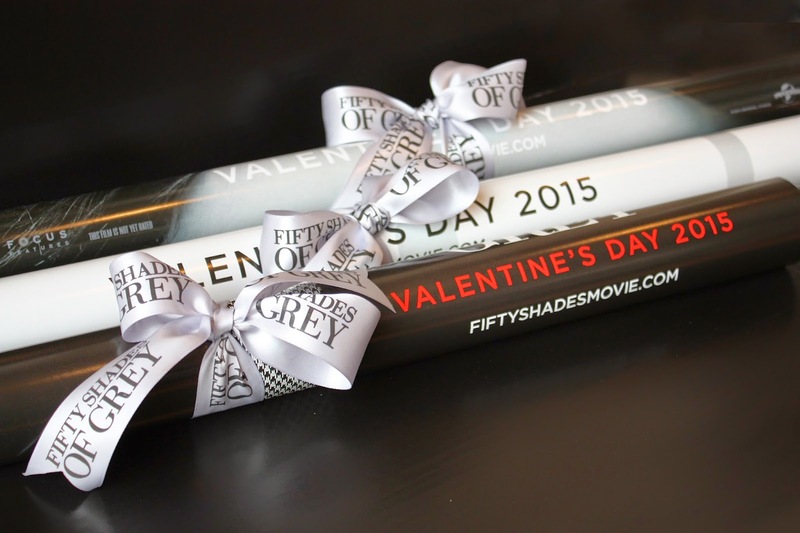 We're happy to bring you the first #OfficialFifty fan giveaway! Enter the Rafflecopter below for a chance to win this official Fifty Shades of Grey "Teaser" poster adorned with an exclusive Fifty Shades of Grey satin ribbon. We will be choosing FIVE winners from our contest to receive this amazing prize. The last day to enter is Friday, December 12, so don't wait, get your entries in NOW! Follow the #OfficialFifty hashtag on all social media outlets to find other #OfficialFifty sites that are giving away these other official Fifty Shades of Grey posters. Disclaimer: Contest is open to US Residents only . All winners must claim their prize no later that December 16. If winner does not respond to email correspondence by providing mailing address, prize will be forfeited and another winner will be chosen at random.